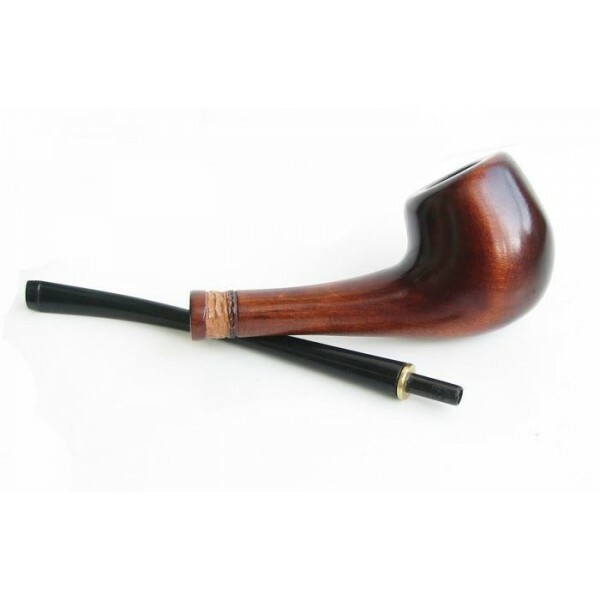 Professionals say that every person has to select his own smoking pipe. In spite of the fact that beautiful pipe creates the image of noble gentleman with exquisite habits, still most of connoisseurs point that the main is pleasure, not the image. 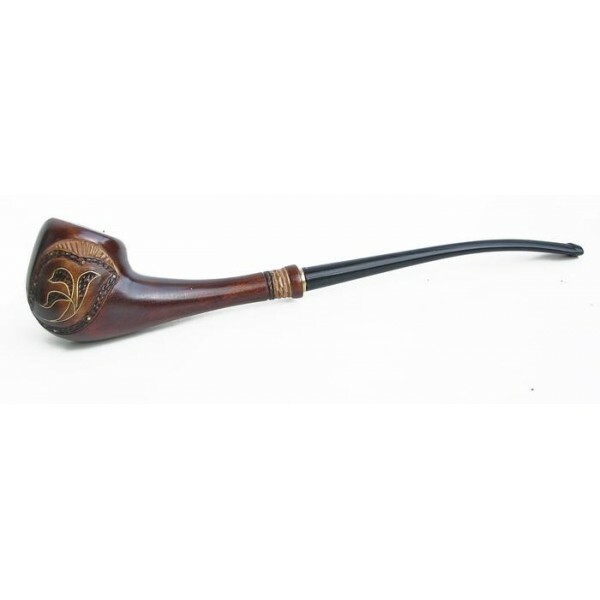 To your attention there is an excellent pipe with author’s signature. This pipe is made from sweet pear-tree root, and equipped separated ebonite mouthpiece famous Ukrainian master.Incrustation of the tree made of metal. The material is brass.This model amazes with its original fulfillment of bowl, jewelry carving and elegance of design. Height of bowl - 1,54 inch. Width of bowl - 1,4 inch. Inside bowl diameter - 0,6 inch. Inside height of bowl - 1 inch. You can take sure about quality and maternity of this smoking pipe, reviewing detail photos of our goods. Please note that color and shape may vary slightly from the picture. Each item is handmade and slight variations may occur.